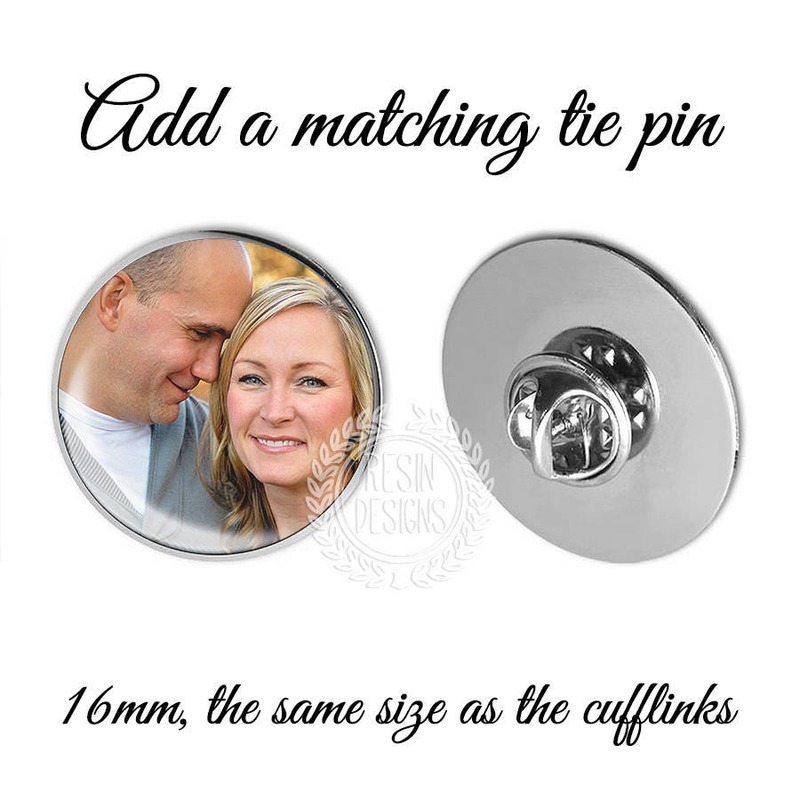 What a perfect gift to always remember that special day! 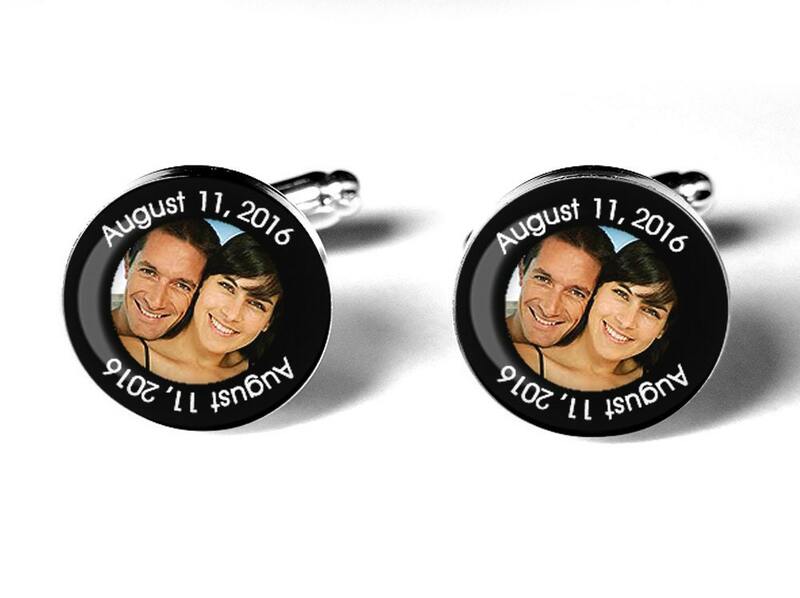 These handsome cuff Links are made using only the finest jewelers grade resin in order to preserve and enhance the images. Once you have placed your order, I will simply contact you for your image(s). 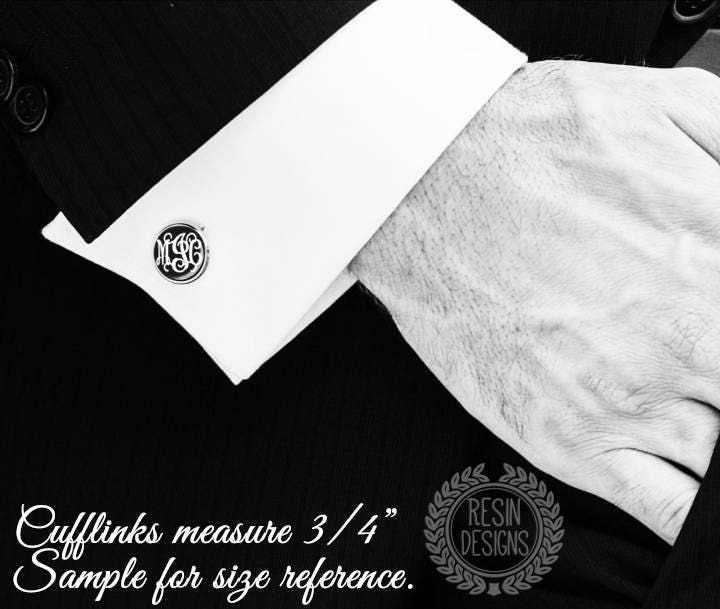 Specs: These silver plated cuff Links are 3/4" in size. They are very well made with a nice weight to them. 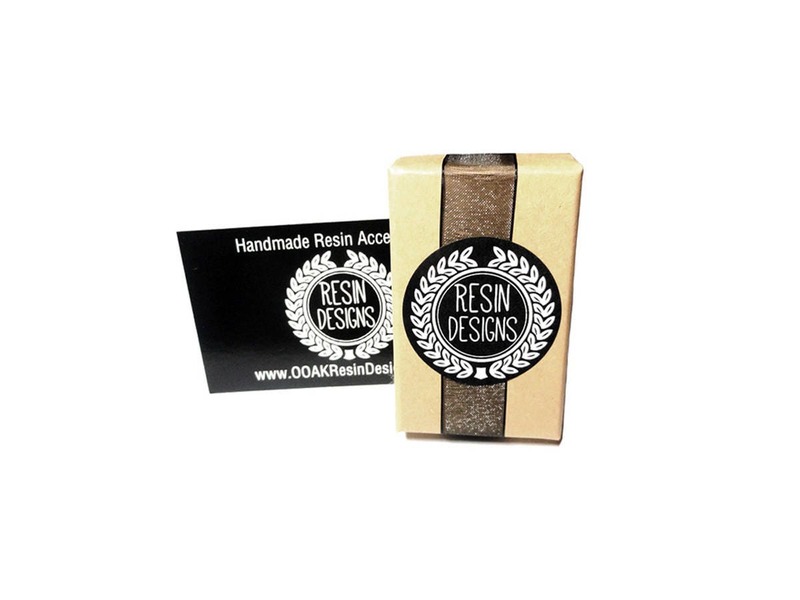 All orders are packaged in a Kraft jewelry box as shown. 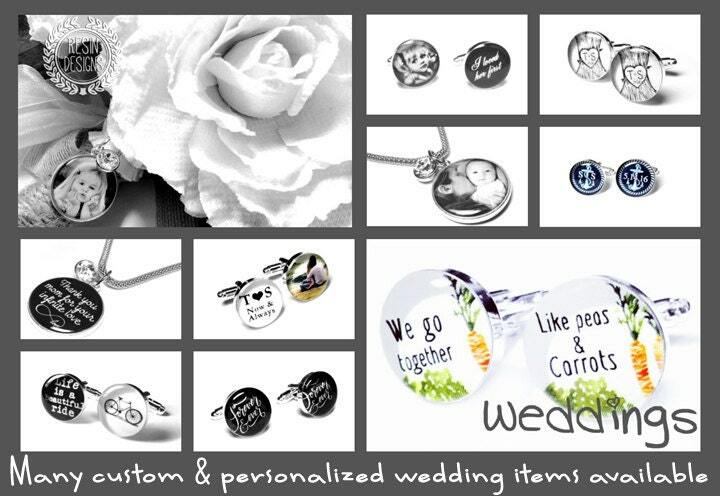 *** Made to order and shipped with in 3-5 days of purchase & proof approval.